The process for purchasing one of our suppressors is to contact us directly. If you are a Va. resident we will handle every step of the transfer. If you live out of state we will find a class 3 dealer in your home state if you are unable to find one. We then transfer the weapon to your class 3 dealer. Your dealer will then assist you in completing the necessary paperwork to transfer the weapon to you. This will include your submitting fingerprints and two passport size photos on your application. In addition, your local chief law enforcement officer (sheriff or chief of police) will need to sign the application. Along with your $200 transfer tax, the application is sent to BATF. When the application is approved, your dealer turns over possession to you. In some cases where the local police will not sign the paperwork it is currently possible to transfer your weapon into a Trust, or corporation. A non-licensed individual must take possession through a licensed dealer in his state of residence. In the case of Title 2 weapons (silencers, machine guns, SBRs, AOWs etc. ), the dealer must be a class II manufacturer or a class 3 dealer. The $200 transfer tax is assessed each time a Title 2 weapon changes hands. The exceptions are to and from a government agency or a class 3 dealer. Your distributor will fill out your Form 4 transfer paperwork for you. Individual transfers will require your Chief of Police, Judge, or Commonwealth Attorney’s signature, fingerprint cards, and your photograph. Trust, Inc.,or LLC transfers only require your signature. Make out a check or money order for $200 to BATFE and your distributor will forward your application for you. 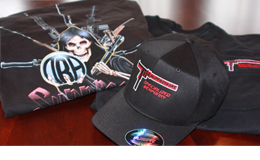 Your approved application will be sent to your distributor within 14-24 weeks and then your weapon can be picked up.